As I explained in my previous post this is a supermoon which means it is closer to our earth and therefore we can benefit from it’s effects more deeply. 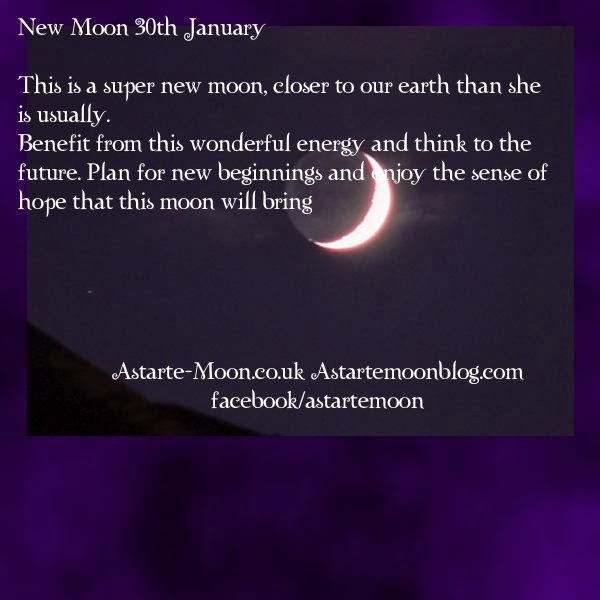 We may not be able to see this new moon but we can feel her energy and sense the building sense of fulfilment as she grows from new moon through to crescent and on to full moon. This new moon is a wonderful time to start projects and changes that may last throughout the whole of 2014. Your whole life is ahead of you, embrace the sense of change in the air and the opportunities that this super new moon will bring.